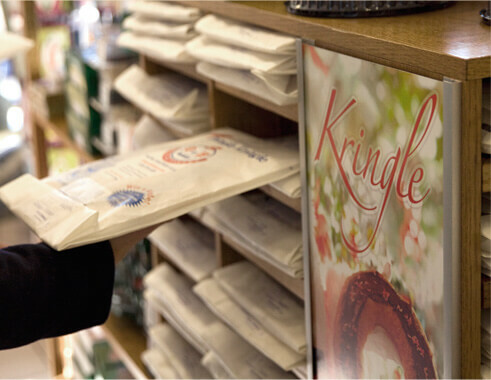 If you are ever in the neighborhood, visit one of our stores! 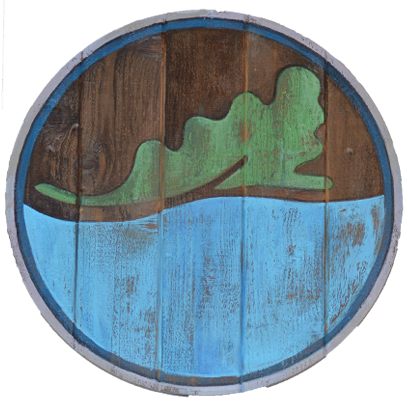 A hand-painted Viking shield that depicts Racine's city logo hangs in our Washington Avenue store. 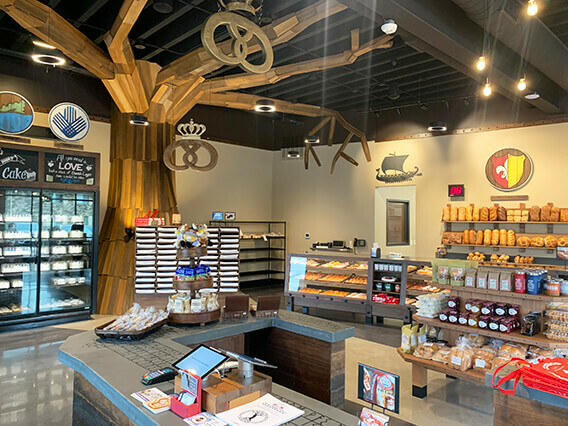 Located an hour and a half north of Chicago and just 30 minutes from Milwaukee, Racine is our home town and the perfect stop to get your Kringle fix! Our newest store is inspired by our Viking heritage. 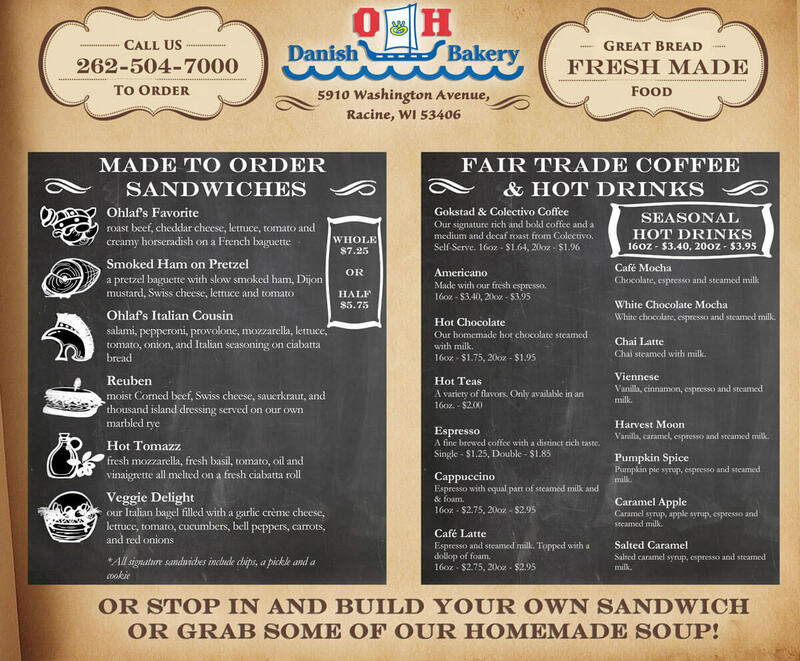 Drop in for some fresh made bakery, fair trade coffee, and made to order sandwiches. 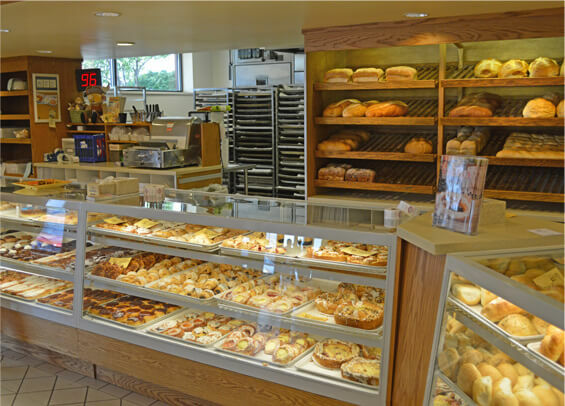 Our most longstanding store, generations of our family learned to appreciate great bakery here. Fresh bakery, fair trade coffee and good people. 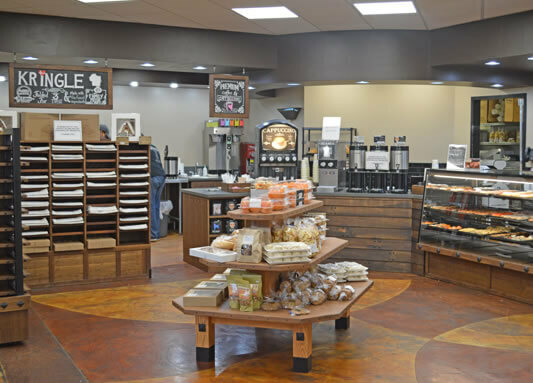 Our largest store that serves fresh bakery, fair trade coffee, made to order sandwiches, a deli and a quaint gift shop. 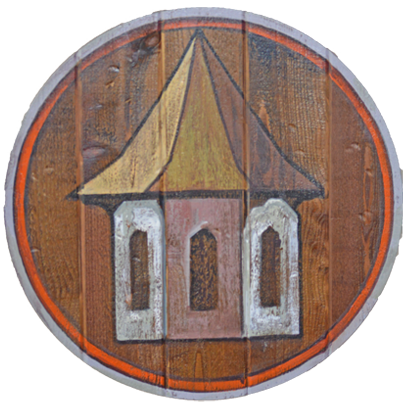 A hand-painted Viking shield that depicts Sturtevant's city logo hangs in our Washington Avenue store. 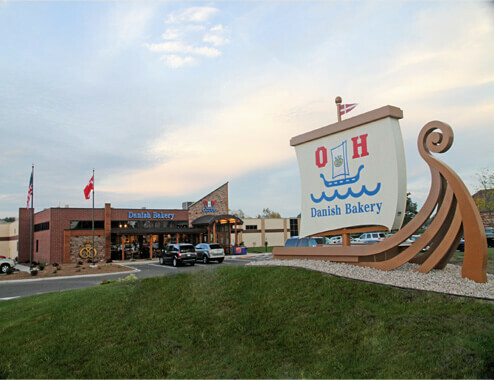 Located just west of Racine, our store shares a home inside the Hwy 20 Petro Travel Plaza right off I-94. It's the perfect store for those who need a quick getaway. Every person (and Viking for that matter!) needs a quick outpost to refuel and resupply. 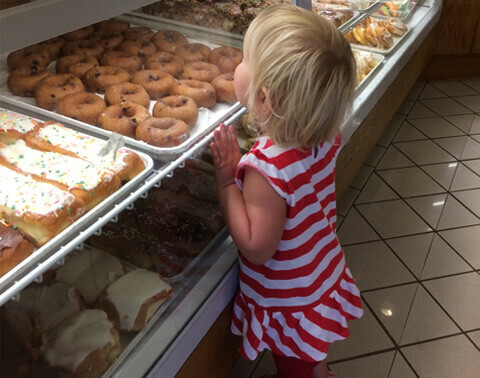 Fresh made bakery and fair trade coffee make this the perfect stop. 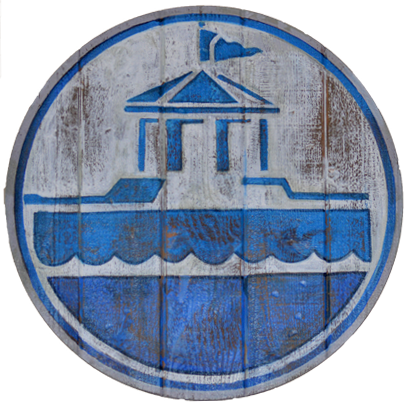 Located just north of Racine, our store is right off of I-94 and Ryan Road. 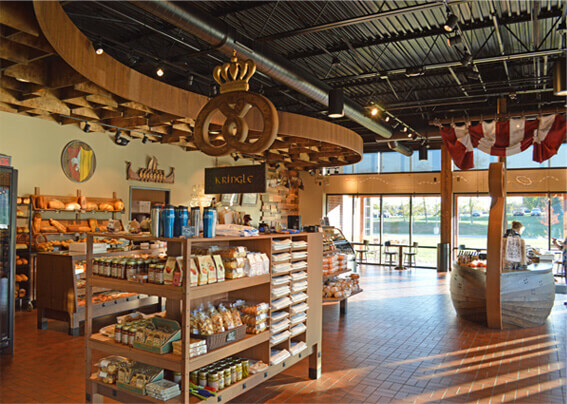 It's our closest store to Milwaukee and an easy stop for something delicious. 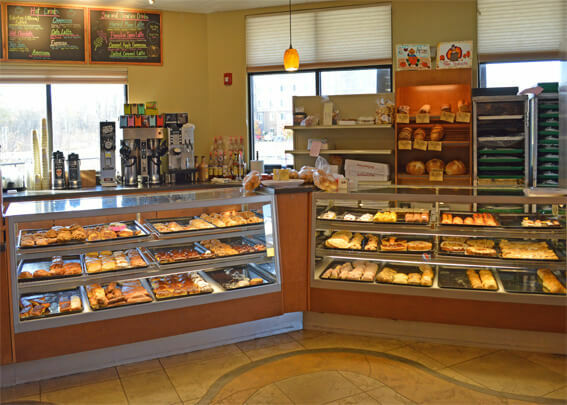 Our closest store to Milwaukee, stop in for fresh made bakery and fair trade coffee. And if you are a little hungrier, grab a seat and one of our made to order sandwiches on our artisan bread.